For years, mineralogist Billie Sky and the whole world watched the colonization of Mars on reality TV. Marsden Greer, a handsome researcher on the colony and Billie’s celebrity crush, makes a shocking announcement. 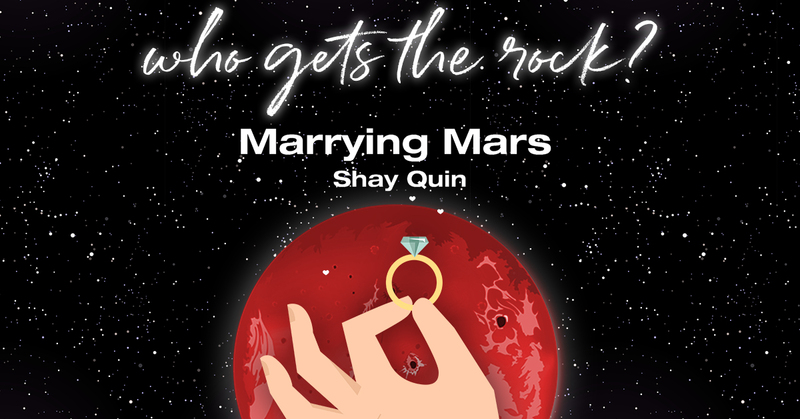 He will marry the Earth woman that wins his heart on the new highly anticipated show, Marrying Mars. Life takes an unexpected turn and Billie finds out she’s a finalist. The competition is grueling with high stakes that create a roller coaster of emotions for everyone involved. The opportunity to win her dream job on another planet and the growing love between her and Marsden are just in reach. Billie could finally have everything she ever wanted but what does she have to do to get him? Shay Quin grew up in a military family and went to a new school every year from first grade until high school. As the perpetual new kid, she developed a love for reading, writing and making new friends of all backgrounds. At seventeen, Shay graduated from high school with her cosmetology license. She worked behind the chair and as a manager for corporate salons until she opened her own. 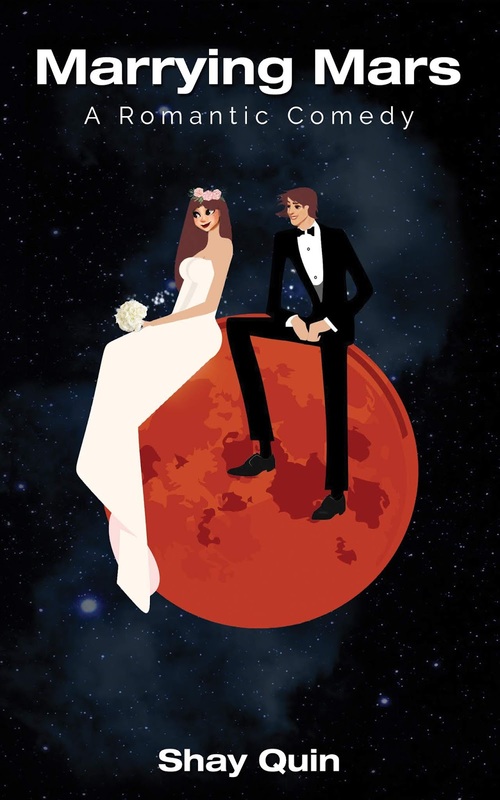 Shay enjoys a beautiful life in Phoenix, Arizona with her two boys who inspired her to follow her dream and finally publish her debut novel Marrying Mars.